You log into your office PC or email account and a message pops up: it’s time to change your password. You roll your eyes, change ‘c0mpanyN4me13’ to ‘c0mpanyN4me14’, are rewarded with a green tick, and go about your business. Deep down you know it’s not good practice, but the rules enforced by many online services make it the only way to create passwords you’ll actually remember. Many of these regulations derive from a set of recommendations published by the US National Institute of Standards and Technology (NIST) in 2003. They were intended to make users’ passwords harder to guess, but did so at the expense of user friendliness. 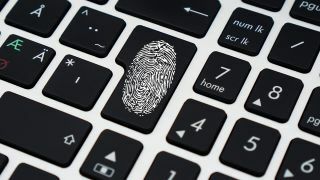 In an interview with the Wall Street Journal, former NIST technology manager Bill Burr admitted he now regrets much of the advice the organization gave on creating strong logins. At the time, he recommended picking combinations of characters that were as close to random as possible and changing them regularly, thereby making them harder to guess. That wasn’t totally beyond the realms of possibility 14 years ago, but now that we all rely on password-protected online services, remembering unique random logins for each one is simply impossible. Last month, NIST updated its guidelines for designers to make password authentication systems more user-friendly. The new recommendations include passwords that don’t expire arbitrarily, can be up to 64 characters long, and can include any printable characters, including spaces. LastPass is a password management tool that stores users’ login details in a secure vault protected by a master password. It can generate a unique, strong password for all of your accounts and complete login forms automatically so you don’t need to remember them. LastPass doesn’t plan to make any changes to its password manager in response to the new NIST guidelines, but Schult recommends that online service providers pay particular attention to the new advice on password length. For even better security, the new NIST guidelines recommend using multi-factor authentication for sensitive accounts. This means providing another form of verification, such as a code from a smartphone app, in addition to a regular password. Android and iOS devices already support multi-factor authentication, as well as Facebook, Twitter and Google.